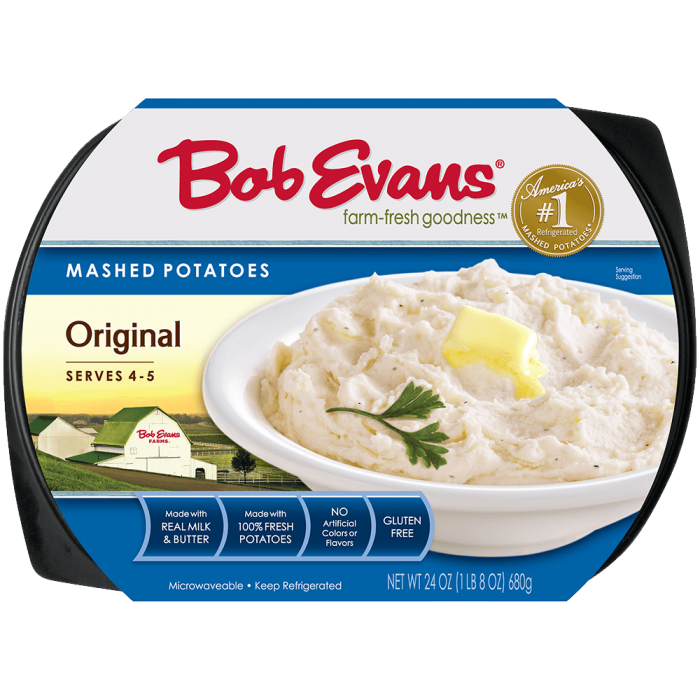 Put a delicious twist on an American classic, made with Our Original Mashed Potatoes. Place about 1/3 cup (1/8 package) of mashed potatoes in a martini glass. Sprinkle 1 Tbsp. diced ham on top of potatoes. Place another 1/3 cup (1/8 package) of mashed potatoes on top of diced ham. Sprinkle 1 Tbsp. 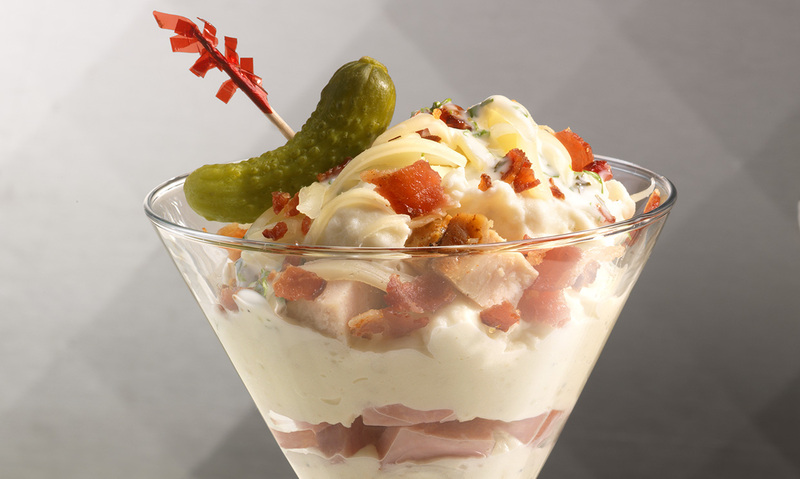 of each on top of mashed potatoes: Swiss cheese, turkey and crumbled bacon pieces. Lightly drizzle ranch dressing over toppings. 2 Place about 1/3 cup (1/8 package) of mashed potatoes in a martini glass. 3 Sprinkle 1 Tbsp. diced ham on top of potatoes. 4 Place another 1/3 cup (1/8 package) of mashed potatoes on top of diced ham. 5 Sprinkle 1 Tbsp. of each on top of mashed potatoes: Swiss cheese, turkey and crumbled bacon pieces. 6 Lightly drizzle ranch dressing over toppings.